Enjoying life, one day at a time. 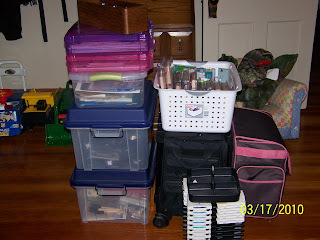 After a brief scare of the possible flu I have my supplies packed and ready to load. I started not feeling well last night but was just nauseous. 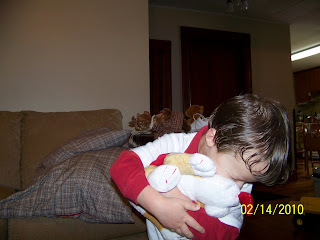 Then at 11 Isaac decided he need to throw up but he didn't anymore. We had a pretty restless night but slept until 9 this morning. Got to work at 10 and we are both feeling 100% better!! Thanks goodness. I would have been so upset if I would not have been able to go to retreat!! 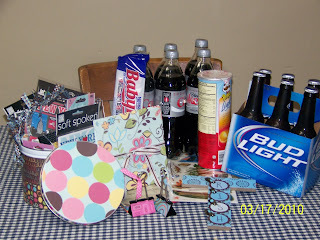 All my goodies for my Secret Scrapin' Sister. It is played kind of like a Secret Santa. Sound be fun!!! Sorry guys, this is much over due. It has been a busy couple of weeks. Isaac and I had a wonderful valentine's day. We were busy in the kitchen cooking and making all kinds of goodies. We spent the morning baking sugar cookies, and I iced them all while he was napping. Also while napping I dipped 3 dozed of strawberries, oh boy where they good. 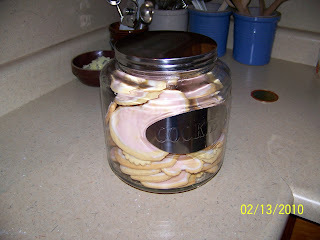 The beautiful jar of sugar cookies full and ready to eat....yummy!! 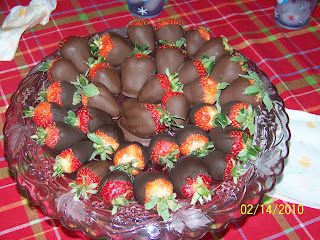 The 3 dozen of delicious dipped strawberries. Did I mention that they were great! 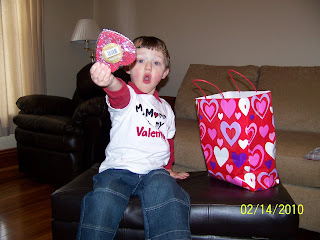 Isaac opening his Valentines from Mommy! 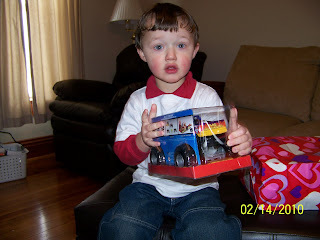 Oh wow, a hot wheels monster truck! 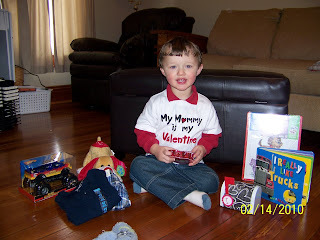 Isaac with all his Valentine goodies! 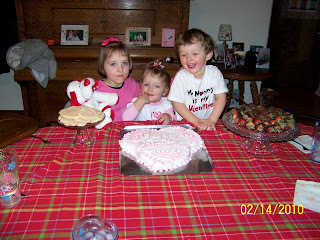 Abby, Molly, and Isaac at Mema and Papa with the Valentine cake. 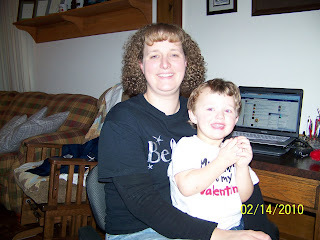 Me and my little valentine!! Love you sweet boy! I am a mom, daughter, sister, aunt, neice, cousin, and friend. I currently work s full time job as a loan secretary to keep our little family going, in hopes to someday be a stay-at-home mom. Being able to stay at home is something that has always been so important to me. I feel I am a much better person after I have dealt with the obsticals that God has given me. I am very close to my family, they mean the world to me. My sister is my best friend, I wouldn't trade her for anything. 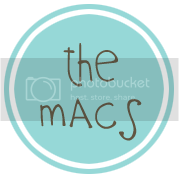 Thanks for reading my blog; check back often as I try to keep it updated with what is happening in our lives.